Each day there are questions posted on WordPress forums about some of the most common issues that new users face. WordPress is easy to install and fun to work with, new users get excited with powerful features offered by many of its plugins and themes. Eventually they come across questions, issues and problems, asked by many before them. WordPress has a huge global community of users behind it, so no matter what issue a user is facing, there is a good chance that some other users have already faced it and there is solution available to fix that problem or answer that question. In this post we will discuss a few of such common issues and their solutions. When a WordPress powered website grows in popularity and page views, this is the first problem that the site owners face. If they are on a shared hosting or a VPS, their webhosts will email them about their memory usage crossing the allocated limit. At least some good web hosts will do that, others wouldn’t even bother and your website would just go down on over usage, and chances are that you will not even notice it for a while. There could be a plugin or theme misbehaving on your website. To find out install WP-Memory-Usage plugin. Deactivate all your plugins except wp-memory-usage and then activate them one-by-one. Noticing memory usage after activating each plugin could help you find out the misbehaving plugin or theme. If your themes and plugins are working normally then you need to install a cache plugin such as W3 Total Cache or WP Super Cache. If cache plugins do not reduce memory significantly with default settings then you need to configure them by changing settings such as compression, minify scripts, increase cache intervals, etc. Another common and a serious issue that new WordPress users come across is discovering that their website is hacked. The chances of such things happening on your website can be significantly reduced by following these WordPress security practices. We also recommend using Sucuri to completely protect your site. There are different kinds of hacks that WordPress users face. Most common of them are when a website redirects to some other website with illegal or obscene content, injected links to other websites, strange code in theme files, etc. Remember, that most of the time it is easy to fix these issues. Always backup your database and files regularly. Run WP-Security-Scan, an excellent plugin to detect suspicious code in your theme, plugins and core wordpress files. If you find something suspicious in plugins or themes, delete it. 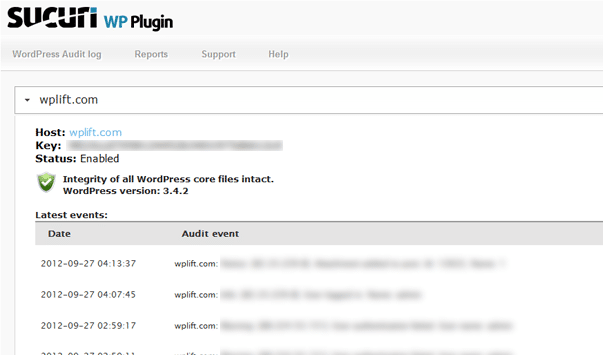 If you find something suspicious in your core WordPress files replace them with fresh ones. Check your .htaccess file for changes and suspicious code. Check the file permissions on your website. Read this article on WordPress Codex, Ask for Help in Support Forums, Ask for help from your hosting provider to be sure that it is not a hosting related attack. If you have access to your database through phpMyAdmin then go to phpMyAdmin and in your WordPress database find the table wp_users. Click on the browse icon and then find your user_login and click Edit icon next to that row. Now you will see an encoded code for your previous password, delete it and replace it with any password you want. There will be a drop down menu ‘Function’ next to it. Click on it and select MD5. Click go and you have updated your password. Replace NewPassword with any password you want to use. The 1 is for user_ID, we are assuming that you are admin of the website and you did not delete the first user you created during the installation. Upload the file back to your server. Now login using the password you added in functions.php. Once you are logged in, don’t forget to delete this line from your functions file. To make WordPress more secure and provide a reliable and consistent environment, WordPress by default does not allow any users to insert code into posts, comments, or widgets. However, after a while most new users get comfortable enough with WordPress that they want to add different functionalities into these areas. For example, if I want to show you a nice PHP code in this post, I can’t just paste the code in here. It will be stripped by WordPress and it will not be readable anymore. WordPress Codex suggests using HTML Entities to encode code, this is a very painful way to do that. Still you should probably do this if you share code only once in a blue moon. But if you plan to regularly share pieces of code with the visitors of your website, then you need Syntax Highlighter Evolved. Now you may want to either display a snippet of code in Widgets or add a function or template tag to a widget to do something magical there. To do the later, you would need to install a plugin that allows you to do that. I would like to recommend PHP code widget by Otto42, or Widget Logic plugin. There must be many other common questions, issues and problems that new WordPress users often come across. The first tool to find a solution for any problem you are having with your WordPress powered website is Search. Lookup the web by using multiple queries and you will see that so many people have already provided a solution for those problems. If not then remember you can always ask your questions at WordPress Support Forums, IRC chatrooms, or other WordPress related forums on Webmasters World and Digital Point forums. 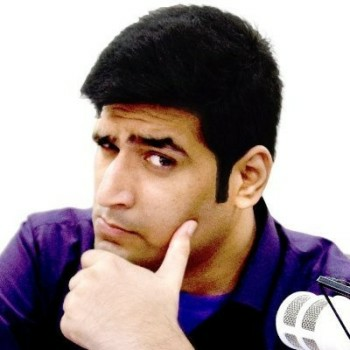 Noumaan is a blogger and social media expert. 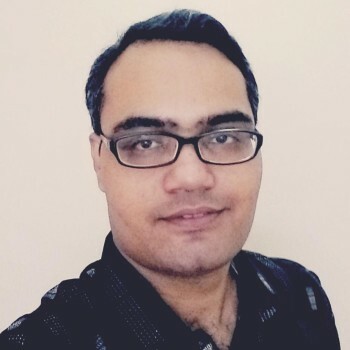 He loves Quora, Facebook, Wordpress, OpenSource Software and The Sims. But i have another question. You talked about Digg Digg, but what plugin do you guys use for the social float buttons? I say it cause when i see your website on mobile phones, the social float goes away and get inline with the text. But Digg Digg do not do that… so what you guys use? I have a site that has been compromised, not the one linked here. But a different one and would like to know if you ever barter your expertise in exchange for services – articles, links, etc. I need help with this site, as it is one of my more established and ranked sites. Essentially it brings up bad results in Google when you type in certain queries and someone told me it was the free theme I was using. I have since removed the free theme and now am using one I found via the WordPress repository. However the issue has not cleared up by switching to a new theme and bad results are still showing up in Google. Would love to talk to you about this issue. Let me know. All these definitely sound familiar, especially when I was a WordPress noob. I’ve also heard about the security threats–WordPress has been compromised. But I guess you guys will all agree with me when I say despite these setbacks, WordPress still remains the most stable and reliable blogging platform or even content management system out there. My team and I have built a business around it, and we’re incredibly doing fine. But most of all, our customers hardly complain about the system itself. I still like the fact WordPress is very easy to deal with. It gives the right tools, a lot of control, and accessibility content anytime and anywhere. i have already faced these kind of problems before. Out of memory is a common issue that i never ever come across since i always check my memory after each posts. I only upload the images which is in jpeg format and using WP Smush-it plug in to take low memory space. Very much appreciated the recommendation to try the WP-Memory-Usage plugin. My hosting service is one of the professional ones that does send out notifications when my site has exceeded memory limits but, unfortunately, their instructions for how to investigate and troubleshoot the problem are very… daunting. Thanks for putting up this great group of tips, Noumaan. many thanks for the tip with Syntax Highlighter Evolved That was what I searching for! But if I choose 2011 and 2012 themes,its not working. Could you please give me the solution of the problem.Its urgent if you can.